"Patachitra" or "Patua" art is a folk art form of scroll paintings that come from eastern India. Traditionally, this art legacy was passed down from father to son. 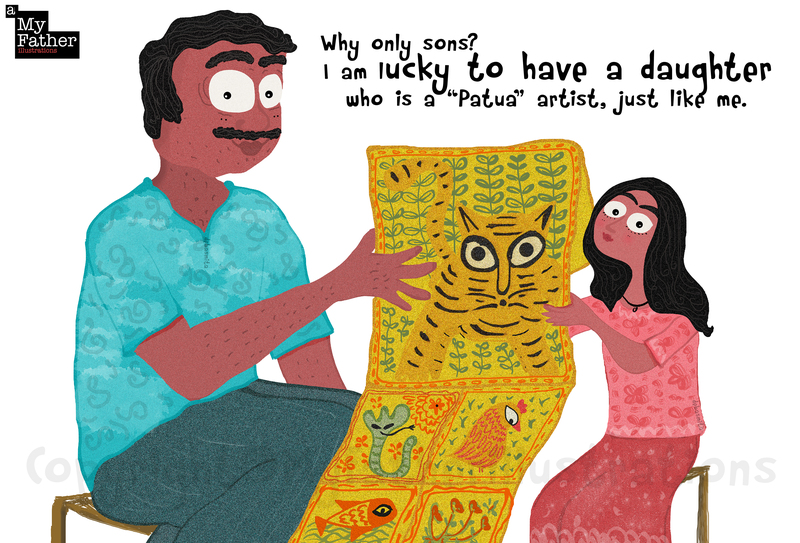 However, contemporary "patua" artists like Mantu Chitrakar, are breaking this stereotype. Mantu has inspired his daughter, Sonia, to take this tradition forward. Share an inspiring father-daughter story with us!